In June we set out in full force to enjoy all that Santa Barbara offers in the summer. Graduations and weddings are a sign of one age in life coming to an end and another just beginning. And let’s not forget about celebrating our great dads. Sammy’s Limos can handle your transportation needs for all of these momentous occasions. We have provided professional Santa Barbara limo service for over 21 years. Leave the driving to our experienced professionals while you enjoy June the way it was meant to be. Grads: Rent a limousine from Sammy’s Limos for the most unique graduation celebration in your class. Sammy’s Limos and Tours has many different types of limos available in your area so you can get a great deal on the car of your dreams. Our stretch limos can hold up to 12-14 passengers, so you can move your party from spot to spot as you celebrate the end of school. Dads: Your dad has been a big influence in your life, so why not celebrate him on Father’s Day in the style he truly deserves? Spring for great seats and let Sammy’s Limousines and Tours take you to local sporting events like a Los Angeles Dodgers game. Skip the parking and get dropped off at the game in style. Gather the family or a group of friends and pile into one of our luxurious sedans, vans or limousines. If dad prefers something a little more sedate, you can spend the day together enjoying one of our Sammy’s Wine Tours. Our expert drivers and tour guides will make sure you and your guests have a wine tasting experience that is the best it can be. Weddings and Bachelor/Bachelorette Parties: Get set to celebrate the big day by renting one of our limousines for your bachelor or bachelorette party. You and your friends will have one last great night together as our experienced drivers make sure you get to your party destinations safely. Since all of our vehicles are equipped with custom bars you won’t waste any time getting the party started. When the wedding day finally arrives, we have everything you need in luxury wedding limos for the bride, the bridal party, family and guests. Since Sammy’s has daily specials for all of our services, it can be surprisingly affordable to rent one of our six, eight, or ten passenger limousines. Great times are meant to be had in limos, and the best limos come from Sammy’s. 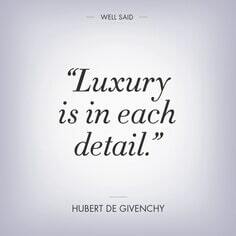 Givenchy couldn’t have said it more tastefully… "Luxury is in each detail." And in this fast-paced life that we are in, more and more people are realizing that investing in making events simply unforgetable is well worth the time and money. For most people, such crucial milestones like graduations and Santa Barbara weddings happen only once in a lifetime. What better way to sew luxury into these memorable events by renting a Santa Barbara limo? This is definitely one of the best gift ideas you can give your loved ones to make another day in their lives ultra special. What better way to celebrate in style than to have a limo as your transportation service? Limousines are head-turners, and I think this is the best bridal car for every wedding. Sammy’s Limos are affordable and guarantees comfort and safety in every rentals. I’m planning my best friend’s bachelorette party and I think it would be really fun to rent a limo for the occasion. Instead of having to drive separately, we could all ride together and just have fun. Limos are also great at proms or at seniors’ ball. It depicts elegance and luxury in every angle. I also like the idea of partying inside the car, so it really is perfect for teenagers who want to have a fun night.